Mr. Yam bagged sweet potatoes are a popular choice of consumers. 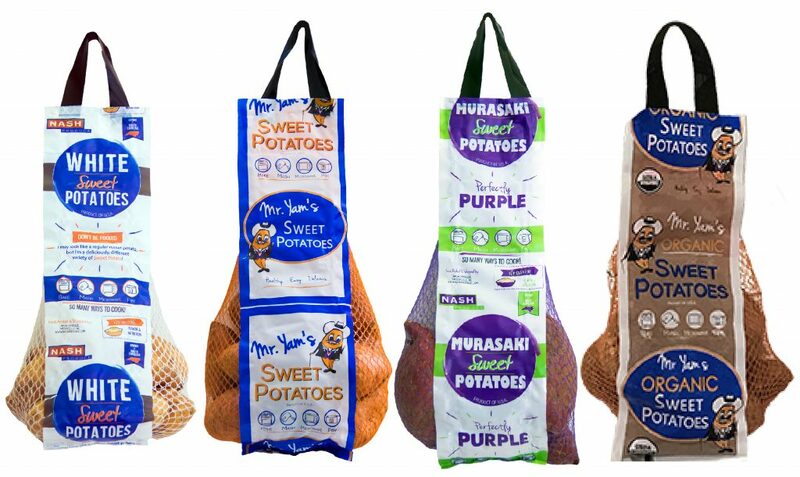 These full-wrap, flexible mesh bags can be 2lb, 3lb & 5lb filled with of your choice of sized sweet potatoes. The packaging contains recipe ideas and cooking suggestions for versatile and exciting ways to prepare sweet potatoes. Private label & larger size bags available upon request.